Suffering from a knee or shoulder injury? Dr. Heckman has been Practicing Orthopaedic Surgery and Sports Medicine in South Texas since 1989. He treats athletic, non-athletic, and in-network work related injuries. He is Board Certified by the American Board of Orthopaedic Surgery in both Orthopaedic Surgery and Orthopaedic Sports Medicine. He is a fellow of the American Academy of Orthopaedic Surgeons and is a member of the American Society of Shoulder and Elbow Surgeons. Dr. Heckman has completed specialty fellowship training in Orthopaedic Sports Medicine, arthroscopic surgery and reconstructive shoulder and knee surgery. He specializes in arthroscopic surgery for both the knee and shoulder and performs total knee and shoulder joint replacement surgery. He has a special interest in treating Anterior Cruciate Injuries (ACL) knee injuries. He routinely performs "ACL revision" surgeries to correct complications or problems for patients who have had prior ACL surgery. He treats complicated multi-ligament injuries of the knee and rotator cuff tears, instability and dislocations of the shoulder. He is involved in research on the ACL and using biologics and stem cells in the treatment of knee and shoulder injuries. Dr. Heckman is a Clinical Assistant Professor in Orthopaedic Surgery at the University of Texas Health Science Center at San Antonio and has directed the Arthroscopic Surgery/Sports Medicine teaching rotation for the University of Texas Health Science Center at San Antonio Department of Orthopaedic Surgery residents since 2004. 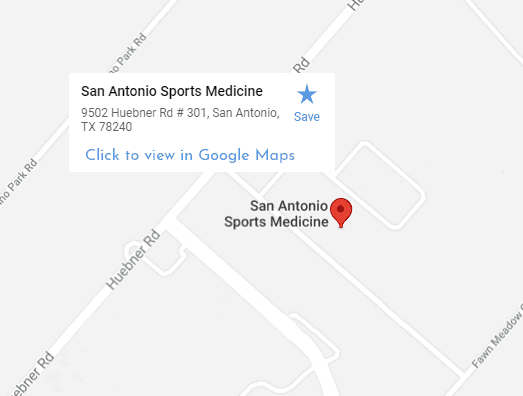 He has been selected by his physician peers as being one of the “Best Doctors in America” and one of the “Best Doctors in San Antonio” for the last 20 years. Vitals.com has awarded Dr. Heckman its' “Patient Choice Award” in 2016, 2017 and 2018 given to the top 1% of its' physicians based on patient reviews. Dr. Heckman has been practicing Orthopaedic Surgery and Sports Medicine in South Texas since 1989. He treats athletic, non-athletic, and in-network work related injuries in patients from adolescents to adults. Dr. Heckman has completed fellowship training in Orthopaedic Sports Medicine, arthroscopic surgery and reconstructive shoulder and knee surgery. He specializes in knee and shoulder surgery and arthroscopy. He has a special interest in treating Anterior Cruciate Injuries (ACL) knee injuries and routinely performs "ACL revision" surgeries to correct complications or problems for patients who have had prior ACL surgery. He treats meniscal tears and multi-ligament injuries of the knee and rotator cuff tears, instability and dislocations of the shoulder. He performs total knee and total shoulder joint replacement surgery. He is involved in research on the ACL and using biologics and stem cells in the treatment of knee and shoulder injuries.